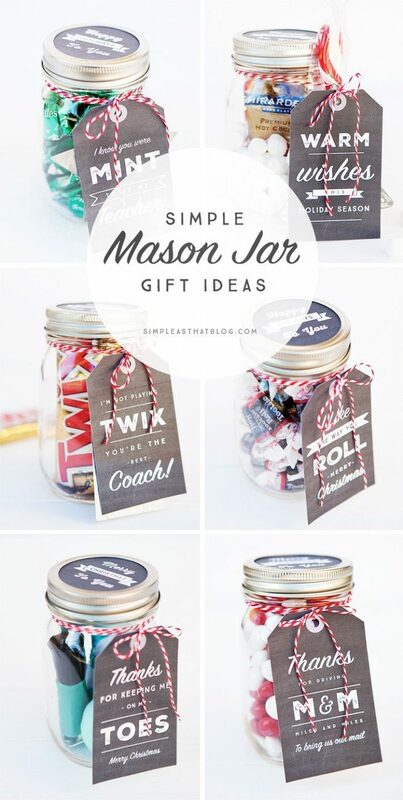 DIY Gifts Ideas : 6 Simple Mason Jar gifts with Printable Tags to make gift giving easy and inexpe... - GiftsDetective.com | Home of Gifts ideas & inspiration for women, men & children. Find the Perfect Gift. 6 Simple Mason Jar gifts with Printable Tags to make gift giving easy and inexpensive for even the hardest to shop for on your Christmas list!